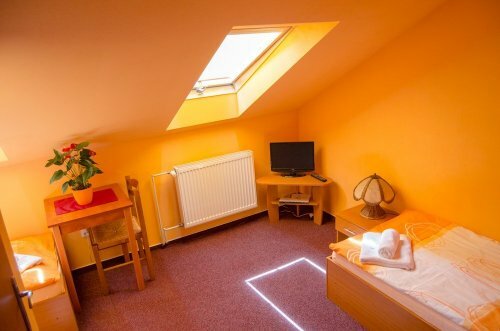 Double-bedded rooms 500.- CZK person/night. 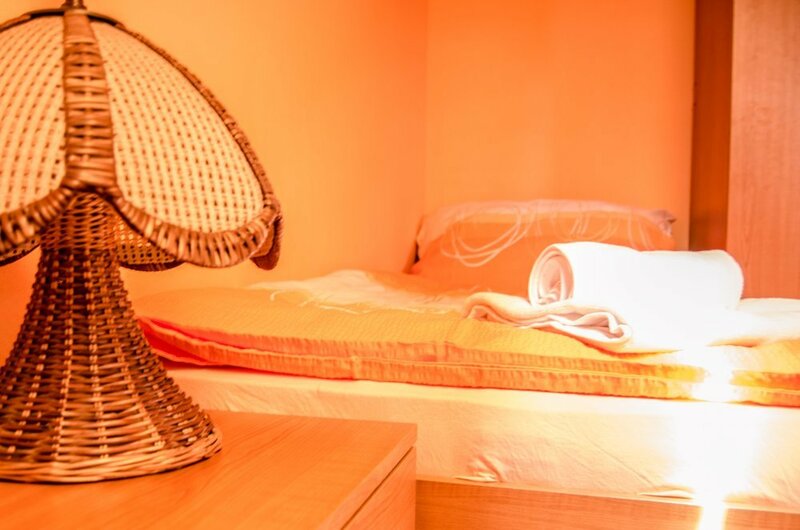 Double-bedded rooms 450.- CZK person/night at 2 and more nights. When unoccupied second bed 550.- CZK person/night. Extra bed 250.- CZK person/night. Children under 3 years (not requiring bed) free. Deposit for reservation of accommodation – in case of cancellation of the reservation – the deposit is non-refundable. Attention! Pets are not accommodated. Payment in cash on arrival, or in advance on the guest-house account. The above terms can be modified according to an agreement.